Police are investigating a robbery that happened outside a Market Basket in Seabrook, New Hampshire, on Saturday. 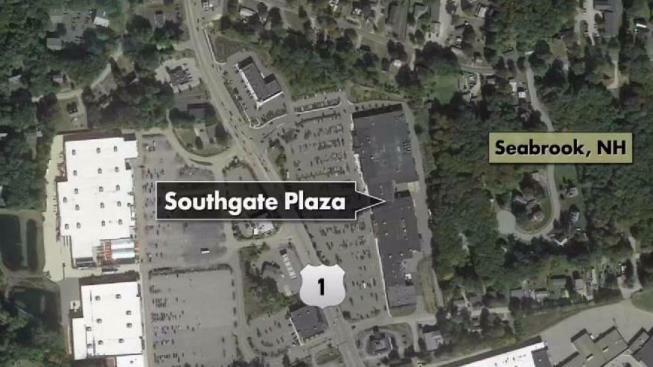 Officials say a woman was loading groceries into her car at the Southgate Plaza when she was notified that a man had taken her wallet from her purse. When she confronted the suspect, the two got into a physical altercation and he ran to his vehicle to try to get away. The woman, who has not been identified, grabbed hold of the suspect's door in an attempt to stop him, but she was tossed off after the car sped up around a corner. She suffered multiple injuries and was taken to a nearby hospital for treatment. The suspect is believed to be about 5'10", in his mid-to-late 30s, clean shaven with dark, spiked hair and heavyset. The vehicle is a silver SUV, but the make and model are not known at this time. Officers are reviewing surveillance cameras from the area. Anyone with information is urged to call the Seabrook police department at 603-474-5200, or the anonymous crime line at 603-474-2640. If you want to speak to a detective in person, you can also visit the Seabrook police department at 7 Liberty Lane.